Morocco is an African nation. You may be wondering – surely it’s a cheap destination; it stands to reason that we’ll find low prices for everything? If we don’t, then presumably we can simply negotiate the price? Unfortunately this is not the case. Expect pricing in Morocco at around the same level as, say, Southern Spain/Italy. 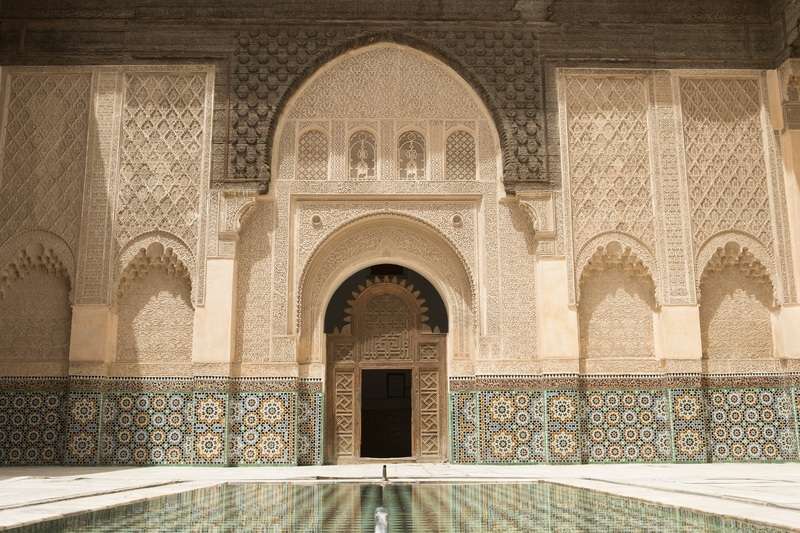 Although the cost of living in Morocco is low, this is not necessarily reflected in the prices you can generally expect to pay dining out, for hotel rooms, transport/car rental, tour services. You are paying for goods/services that Moroccans, on the whole, aren’t buying. The adage, ‘you get what you pay for’ (or as the French put it, ‘rapport qualite prix’) is nowhere more true than in Morocco. Of course, this also means you’ll enjoy hospitality like nowhere else! If you find the cheapest, there’s a good reason for that, so bear in mind how you make comparisons – are you really comparing like-for-like? Bear in mind what sort of service/good/customer care you’d receive back home for that price. Some of the best bargains to be had are public transport tickets; bus and train travel is inexpensive (but don’t expect a high-speed rail network). Also, taking a shared taxi service on long routes (via a grand taxi) is cheap and efficient, but not entirely comfortable. Eating at food stalls/kiosks where the locals go is also inexpensive, but don’t expect to find a bathroom. Groceries (fruit, vegetables) are cheaper than back home, if you buy in season and Moroccan-grown. None of your perfectly-shaped, pre-prepared produce, it’s straight from the fields/trees. Don’t expect to be able to bargain for everything. Fortunately, and I do think this is a unique example – I heard a visitor haggling over the price of a handful of bananas – a matter of a few pennies – with a poor street vendor. It’s wise to avoid abusing your status as a visitor and use your better judgement. As a rule of thumb, food and drink, and items from anywhere with a price list/menu are fixed prices. 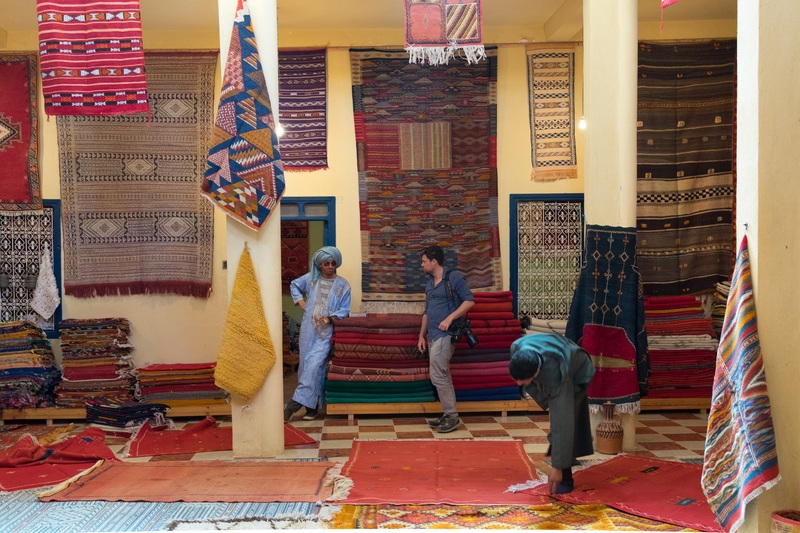 If you shudder at the thought of having to enter into the ‘theatre’ that is bargaining in the Moroccan souk (for crafts/homeware), head for the ensemble artisanal which offers fixed prices, or look for the stalls in the souk that are displaying fixed prices. If you’ve bought an item in the souk (and you negotiated to pay a price you and the vendor were both happy with), ignore the temptation to see how much you could have bought it for elsewhere. You already agreed the price and, as part of that deal, you can’t return your item. We all want to feel that we’ve received value for money. If you are looking to make a big purchase, don’t rush into it, try to collect a range of prices and use common sense – the vendor needs to earn a living but not necessarily at your expense.